We would like to thank all of the sponsors, partners, and attendee's of Whiskeyfest and the supporters of our shredder day. They were fantastic events that will help us achieve our goal of helping local youth through various projects and initiatives. It will also help us and the rest of Rotary achieve the goal of eliminating Polio from the world. We are especially grateful for the partnership with Beverly Corners Liquor Store who work so hard with us and the Ramada to make this such a great event. Thank you Shannon and your team. We are looking forward to next year, check early for your Masterclass tickets and bring a friend. The Whisky Festival Fundraiser was a huge success, thank you to attendees and silent auction supporters because of you we raised money that we can use in our community and other club projects!! 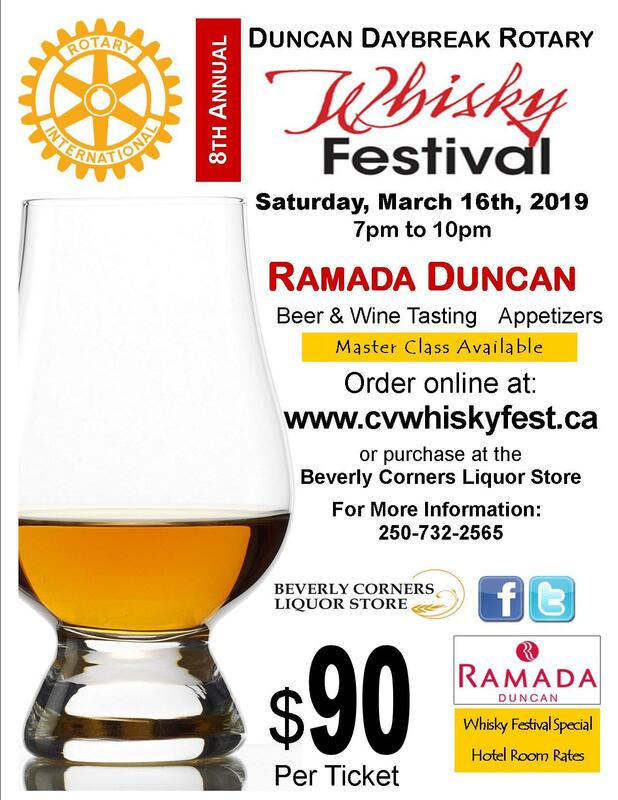 Tickets for the 8th annual Whisky Festival, hosted by the Rotary Club of Duncan Daybreak! Tickets are limited so order early! The Event features sampling from over 50 distinctive whiskies from around the world, plus appetizers, wine, beer, and a silent auction. 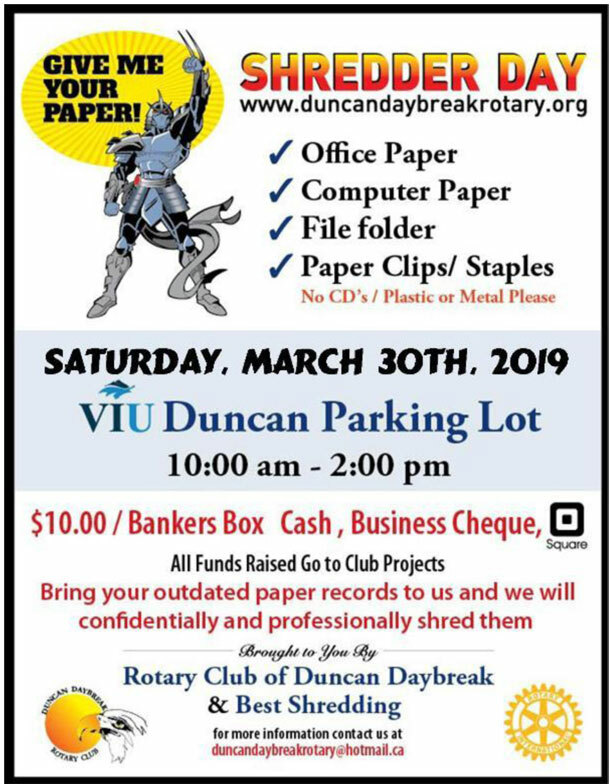 We can shred: office paper, computer paper, file folders, paper clips and staples.